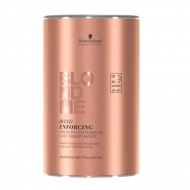 DESCRIPTION: Blond Me Bleach and Tone from Schwarzkopf is a toning additive with lifting power. 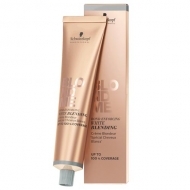 Provides up to 8 levels of support while creating a clear and natural blonde color. 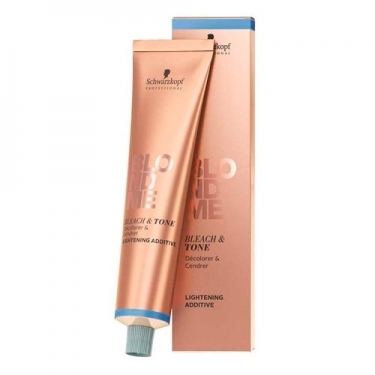 Specially designed to neutralize the shades of yellow and gold even on dark hair, it lifts and neutralizes natural or colored hair. It should be mixed with Blond Me Bond Enforcing. Provides color elevation and durability.